With VisualGDB you can easily debug APK files built by other build environments. 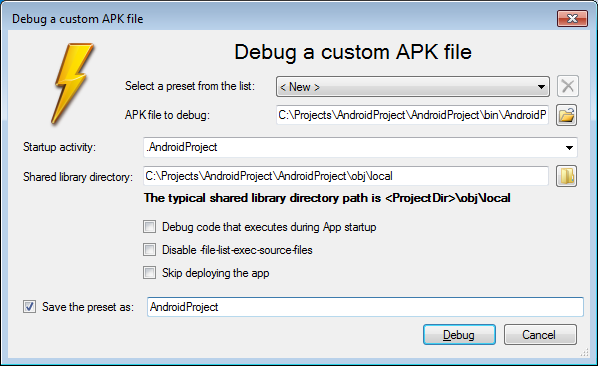 Just click "Android->Debug a Custom APK File", select an APK file, verify the library locations and click "Debug" to enjoy the power of Visual Studio debugger. And there is no need to re-enter the settings each time - VisualGDB allows saving commonly used settings and selecting them later from the list.